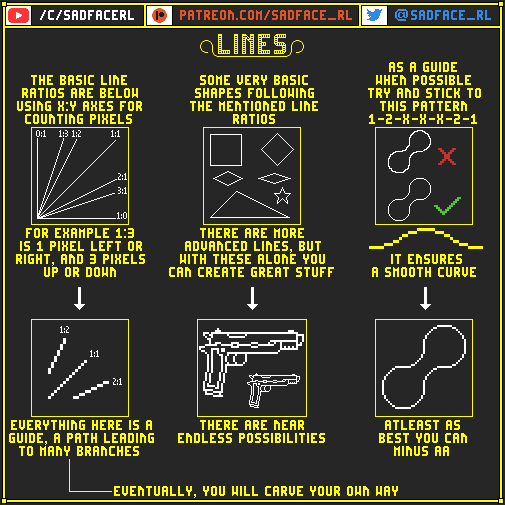 Luke aka Sadface has recently shared an amazing set of tutorials on pixel art for any skill level. These guide will tell you about animation, lines, palettes, and more. The guides were originally shared here.